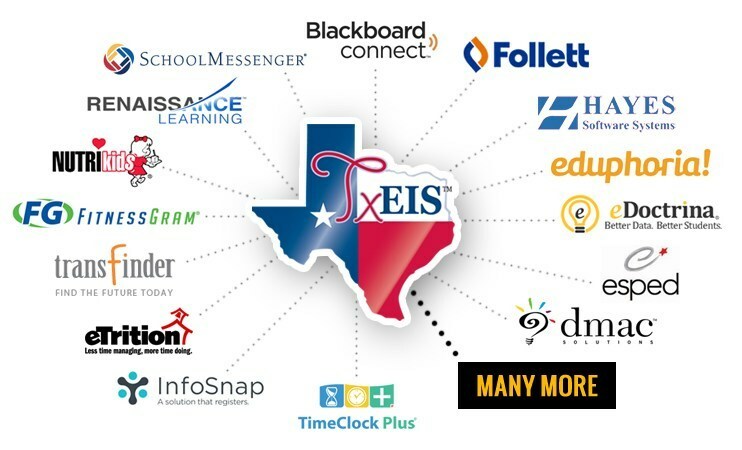 The TxEIS Third Party Integration Service enables schools to automate the process of sharing data between TxEIS and other third party applications. We will work with the vendor to establish a seamless process of integrating their solution with TxEIS and as a result, eliminate countless hours of manual input and processes. We have worked with schools to integrate TxEIS with more than 30 third party solutions. In addition, we have also created custom solutions to address district-specific needs. See below for a complete list of third party solutions we have experience working with. Please contact us if the solution you need integrated with TxEIS is not listed.